Let’s find out which songs are considered as easiest Metallica songs to play on guitar. Metallica has been an inspiration to many young guitarists starting to play this instrument since the 80s. This iconic band has gained their glory and has become one of the most mainstream metal bands today. It is also known as one of the “big four” of thrash metal bands together with Slayer, Anthrax, and Megadeth. Even since they published their first album, their music has been evolving and taking different paths. Although their music has changed through time, they are one the thrash metal icons as we have noted and they have been adding more heavy, hard rock influences as the time passed. That is why we didn’t include Metallica’s songs in our list of 16 easiest heavy metal songs to play on guitar and made this list exclusively for them. Being one of the most popular bands ever, there’s no need talking about them a lot on this occasion. But perhaps a fun fact about Metallica that you probably haven’t heard of is that they entered into the Guinness World Record in 2015 for playing on every continent, including Antarctica back in 2013. As for the list of heavy metal songs we have mentioned above, we have also first searched for guitarists’ opinions on music forums. We have consulted Ultimate Guitar, Guitar Zone, Metal Tabs and Metal Storm. Of course, those are all opinions by players of different guitar skills, but you have to start from somewhere. Learning different kinds of songs will help you improve in different techniques and parts of guitar playing, whether it is keeping (and changing as well) the right tempo, learning picking, palm muting or arpeggios and basic chords. 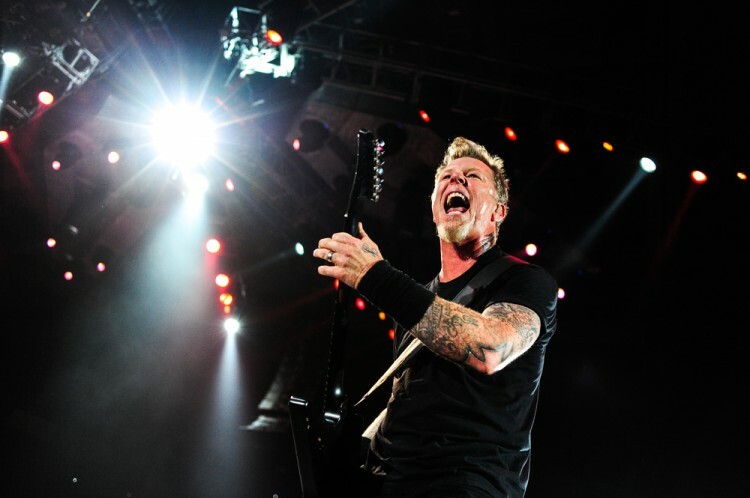 Every self-taught guitarist has their learning method, and of course playing some songs they are familiar with, like easiest Metallica songs, for example, will help them to memorize and learn faster. There is a great choice of online guitar lesson websites, and popular easy to use software like Guitar Pro, and of course, opinions of other fellow musicians on music forums. There are plenty of all of those, and of course, the YouTube as a great source of guitar lesson videos. Considering all of that, here are some ideas where to start at, so let’s see which are the easiest Metallica songs to play on guitar. 16 easiest heavy metal songs to play on guitar 7 easiest metallica songs to play on guitar Big Four Metal Creeping Death on guitar easy metallica solos easy metallica songs to begin with Enter Sandman on guitar Fade to Black on guitar For Whom the Bell Tolls on guitar how hard are metallica songs? List XFinance metallica ballads metallica guinness world record metallica songs for beginners metallica tuning Nothing Else Matters on guitar sad but true easy guitar Sad But True on guitar Slideshow the big four thrash metal Welcome Home (Sanitarium) on guitar Which bands consist the Big Four?